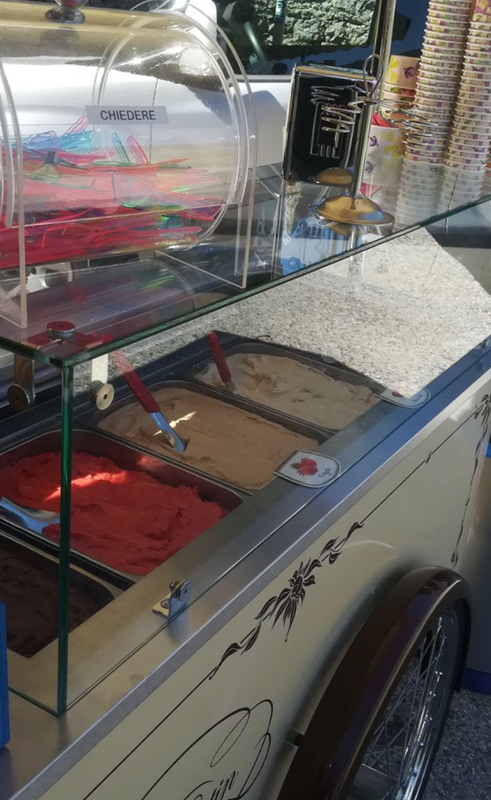 The “COOLBOX” is an isothermal container that keeps the gelato structure unchanged for 6 HOURS (4 HOUR closed container and 2 HOURS open to service) without the use of electricity or batteries. It consists of a box, “professional suitcase”, that contains two tubs with a capacity of 5kg each, therefore 10kg total, satisfying maximum 70 people. It is advisable to choose a flavour for each tub, however having the possibility of inserting two in both obtaining a choice of four flavors; in this last case the two tastes chosen will come into contact with each other. 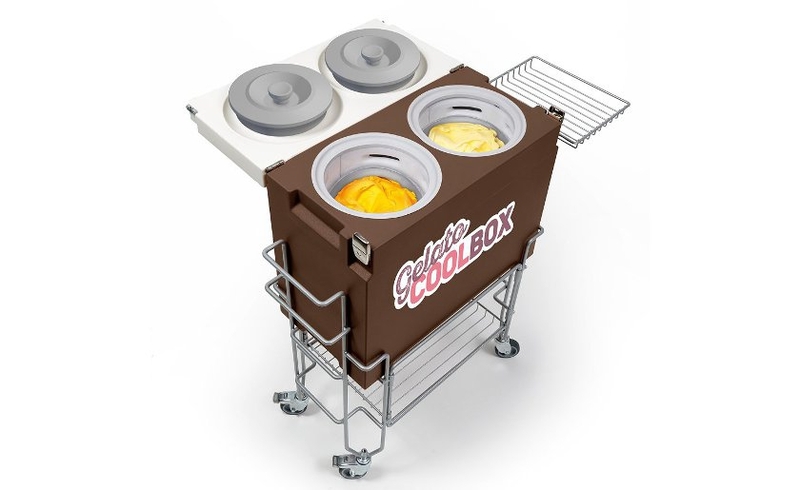 The rental of the coolbox doesn’t require the payment of any price and you will buy the gelato at the cost of sale in the store (minimum order of 4Kg); you will get the coolbox with the gelato ordered by you, the equipment for the serving (cones, cups, spatulas…) and possible trolley with wheels on which you can place the coolbox for a better service. The coolbox must be picked up the day of use and returned in a couple of days or in any case in time agreed with us. 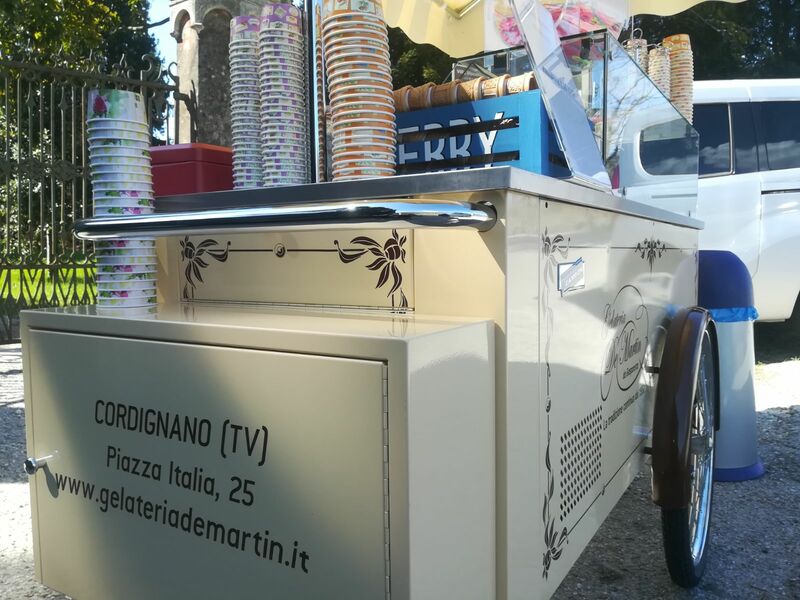 BOOK “MOBILE GELATERIA” COMPOSED BY EVERYTHING YOU NEED TO ENRICH YOUR PARTIES OF A SPECIAL TASTE! Quality and fantasy for an ice cream in harmony! 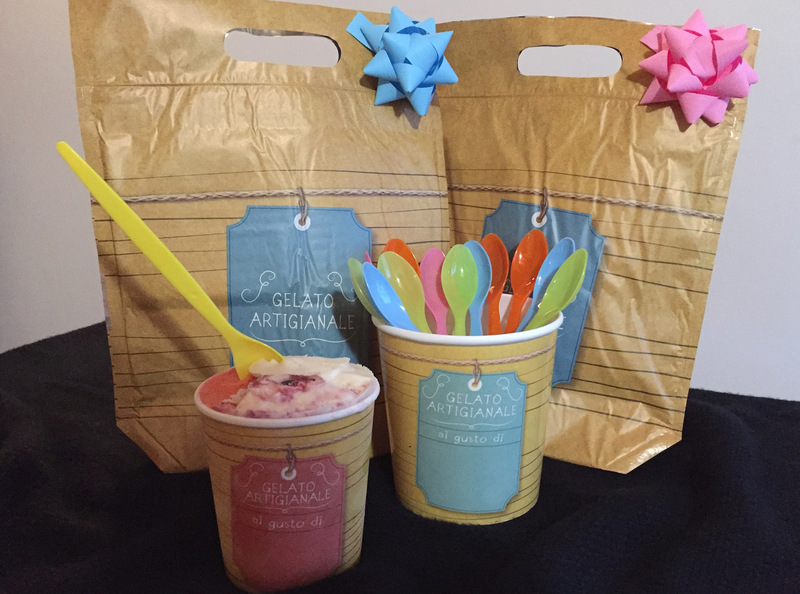 We offer, as an alternative to the classic take-away trays, jar box with original style, ideal for a nice gift with a sweet taste, but also simply to enjoy your favorite gelato in your personalized jar or to share it with whoever you want. The jars are medium and large, combined with their take-out bag, for a quality and fantasy service on your special occasions and more. 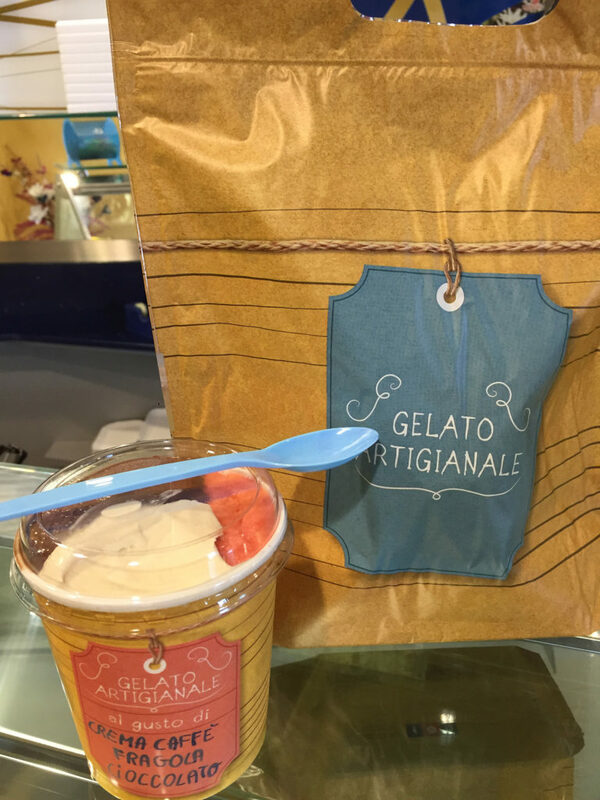 In the medium-sized bar it is possible to fill up to a maximum of 3 different gelato flavors; in the large jar up to a maximum of 4. Elegant and nice gelato cart ideal for parties and events of medium and large size (company parties, weddings, special occasions…). 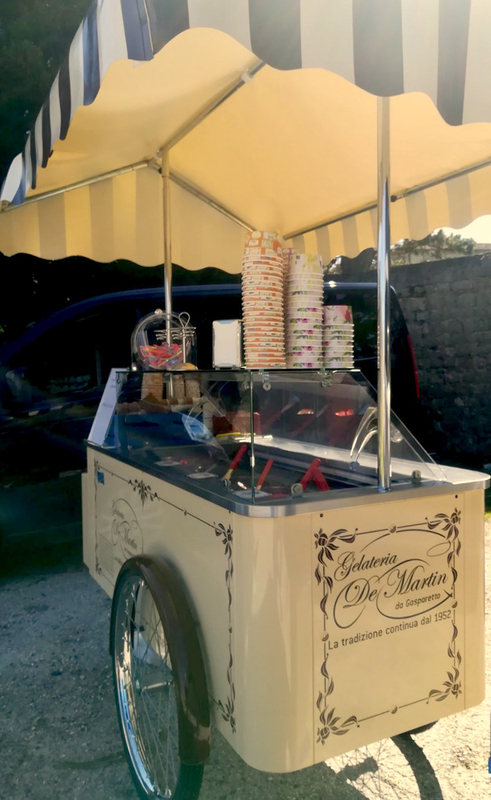 We offer the possibility to rent a gelato cart, consisting of a small counter containing the amount of gelato that will be agreed with the customer. The cart needs an electrical socket. All the equipment will be provided to make the service (cones, cups, spatulas or portioners…). Our staff is available to perform the service during the event, if the customer doesn’t already have other employees such as a catering service. 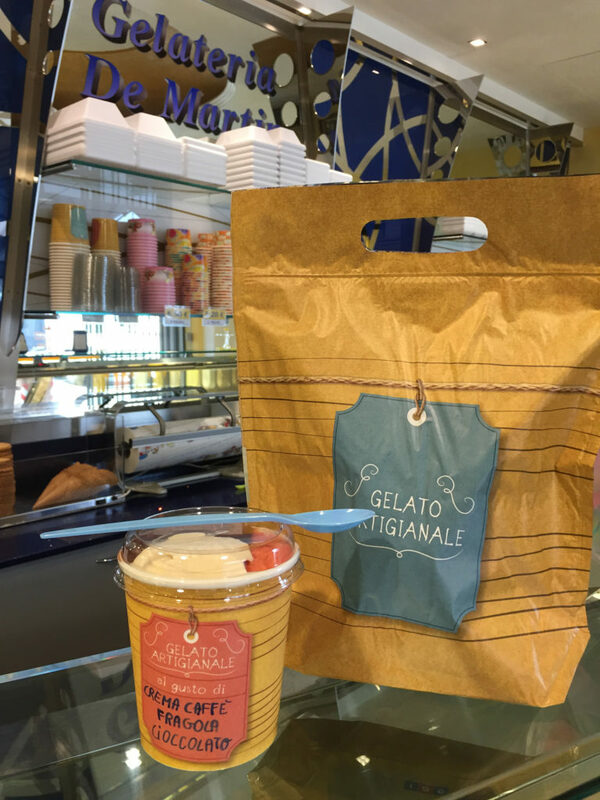 FOR INFORMATION AND RESERVATIONS COME IN GELATERIA!